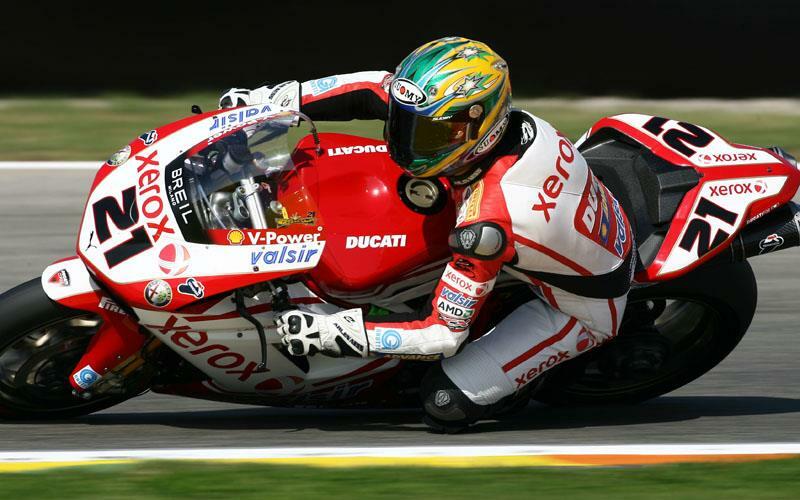 Troy Bayliss has yet again done the double at the Brno World Superbike round ahead of team-mate Michel Fabrizio, who finished second. Bayliss, Corser and Biaggi led the race from the beginning, setting the pace early on. Ruben Xaus was again forced to retire on lap 12 after his Sterilgarda Ducati 1098 broke down. Bayliss took the top spot followed by Corser and Biaggi respectively until the penultimate lap, where Biaggi and Corser swapped places several times, un til eventually Biaggi got the better of Troy Corser. On the last lap Corser dropped back another spot to fourth, as he was passed by Michel Fabrizio at the first corner. Fabrizio then battled with Biaggi to eventually take second place at the final corner.